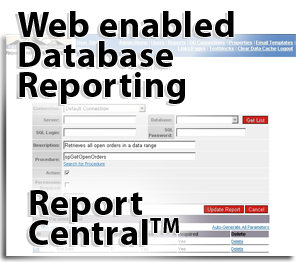 Save/Reuse DB settings — ReportCentral can connect to an unlimited # of sql server databases. 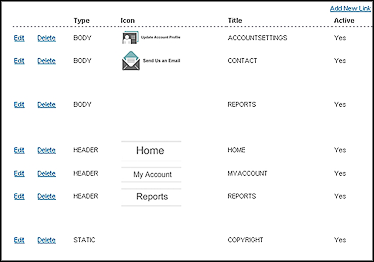 The web admin has an easy to use screen that allows adding and saving connections for future use. Print and automate the sending of statements and invoices to your customers. The SL Statements Manager Add-on allows you to automate statements and invoices generation in a batch method. No longer do you have to send one invoice at a time. Set a search criteria and Report Central will send statement and/or invoices to all of your customers that match the criteria, via email. PDF attachments can also be sent. Sell products through the Amazon Marketplace. Set up search criteria so that you can decide which inventory items you want to make available on the Amazon Marketplace. 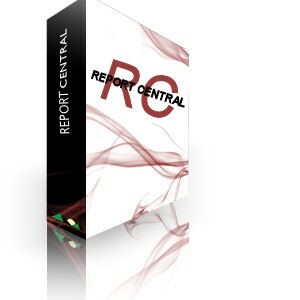 Report Central formats your inventory in the format for the category you want to sell your products in. Your product list will then be sent, automatically, to Amazon so you can start selling right away.